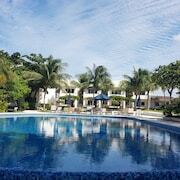 Nestled on the beach, this Zona Hotelera resort is within a 10-minute walk of Plaza Caracol Mall and Caracol Beach. 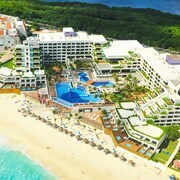 Tortuga Beach and Cancun Convention Center are also within 1 mi (2 km). 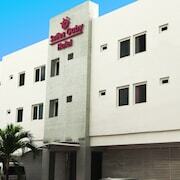 Located in Downtown Cancun, this hotel is within 1 mi (2 km) of Mercado 23 and Market 28. Plaza Las Americas and Dubai Palace Casino are also within 2 mi (3 km). Cancun Bus Station ADO is only a 2-minute walk. 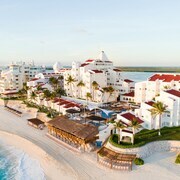 This romantic, all-inclusive resort is nestled on a 2 mile (3.2 kilometer) white-sand beach in a complex with inland marina, day spa, and a golf course designed by Greg Norman. 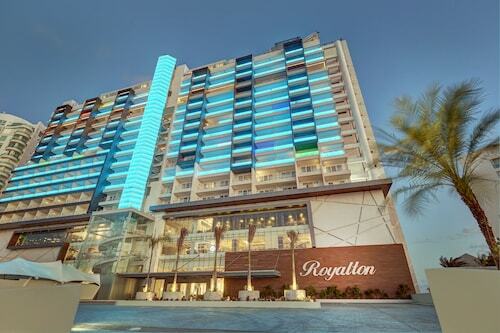 Downtown Cancún is within 5 miles (7 kilometers). 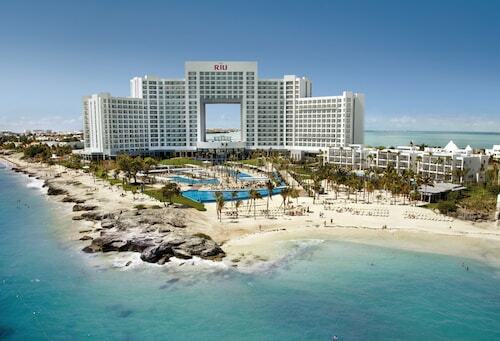 How Much is a Hotel Room in Cancun? 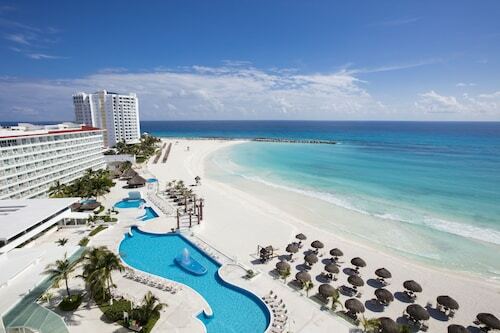 Hotels in Cancun start at $63 per night. Prices and availability subject to change. Additional terms may apply. 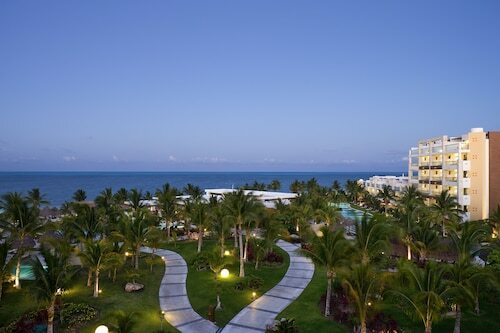 The name Cancun has become synonymous with tropical fun, and this sprawling modern city on Mexico's Yucatan peninsula is ready and waiting to make your vacation a memorable one! 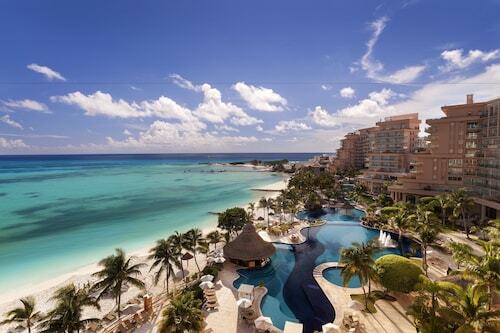 Whether you're coming for the pounding bass and all-night clubs, the decadent luxury resorts, or the countless activities for children and family, Cancun has just what you seek. 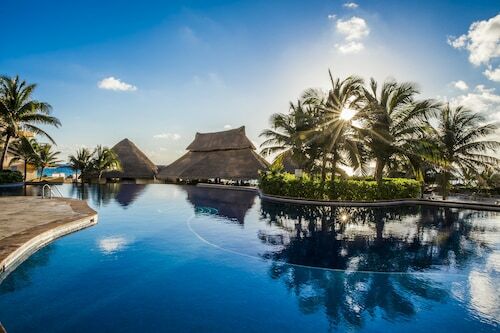 Beyond the beach bars and dance clubs that the city is known for, Cancun also has many districts catering to more staid luxury travelers. 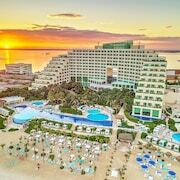 Beach hotels in Cancun in the northern half of the Zona Hotelera are quieter than those in the club-oriented districts, and Cancun resorts in this area are a perfect fit if you're looking for some luxury relaxation on the Caribbean. 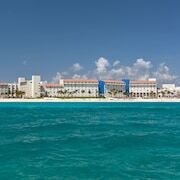 For the most breathtaking views, be sure to check out the Cancun hotels situated along the El Rey isthmus, a narrow spit of land surrounded on both sides by glittering Caribbean waters. 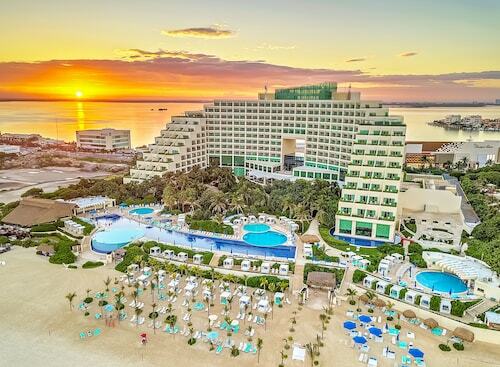 Although the Cancun hotels that cater most heavily to the youth-oriented spring-break crowd are centralized in a relatively small area, they still pack in a party scene that can't be matched. 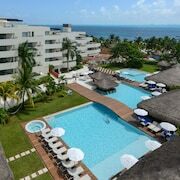 With hundreds of the best bars, clubs, and party beaches clustered in the southern half of the Zona Hotelera, you'll never need to look further than next door for a raging fiesta. 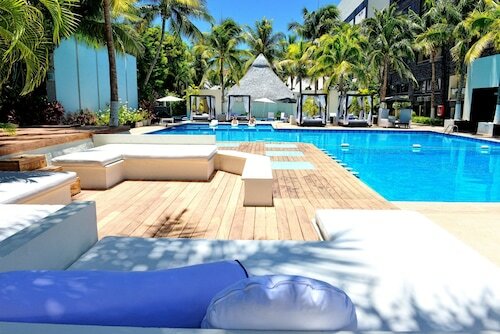 Since many party revelers are in Cancun for that singular purpose, if you're on spring break, you'll have the most luck looking for hotels near Cancun International Airport, perfectly situated to whisk you straight from baggage claim to the bar. 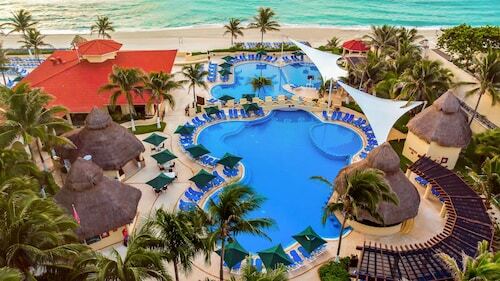 For the young and young at heart, Cancun hotels near the Marduk neighborhood and Highway 307 offer easy access to any of the dozens of amusement parks, water parks, zoos, and other attractions geared toward family entertainment. 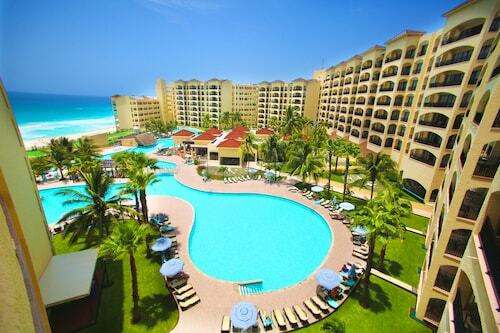 Travelocity can help you pick from hundreds of cheap, world-class hotels in Cancun, so book one today! This property was amazing! Would highly recommend! a++! Took myself and my daughter. Food, staff, spa and facuilties were truly incredible. Best experience. It felt luxurious with a down to earth friendly staff that felt like they all really enjoy their jobs and really want you to have the best experience. This is rare to find these days! this hotel is very romantic roof top pool w crazy views beautiful Restaurants are all fantastic and staff was impressive and extremely nice. 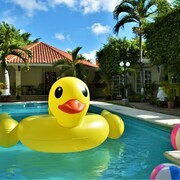 only issue no real jacuzzi regular pool was warmer than jacuzzi otherwise its a great place to visit. Everything very relaxing and amazing, food amazing with huge variety, staff so friendly and helpful!